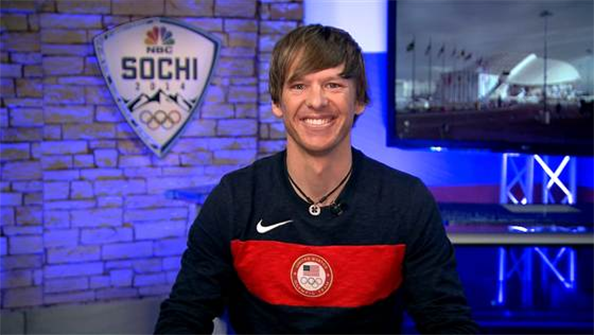 This morning on the “Today Show,” nordic combined skier Todd Lodwick, who has been selected to carry the American flag during the Sochi opening ceremonies, appeared in front of a familiar background. That said, there are a few subtle differences, such as the full color Sochi logo on the faux stone wall rather than Olympic rings gobo, a different backdrop on the right side of the set and more prominent blue uplighting on the wall. 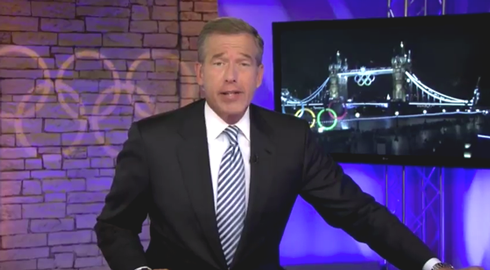 In addition, Lodwick appears to be sitting a bit farther from the set than where Brian Williams stood in London. While there’s no word whether it is, in fact, the exact same set that was pulled out of storage from London, it seems unlikely that the network would rebuild an identical set. 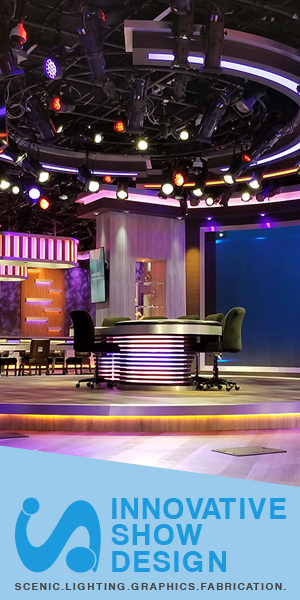 As we mentioned in 2012, the set looks a bit thrown together and screams “temporary” and was a bit of a surprise departure from the network’s typically elaborate (though often similar looking) Olympics sets, which often played host to “Nightly” in past games. There’s also no word if “Nightly” will originate from this location — Brian Williams is expected to be in Sochi Thursday evening so we will see if this set becomes his home during the games — and if NBC uses a localized open like they did in 2012.